If you’re a fan of reality TV, chances are you’ve indulged in a binge or two of the many shows about “storage wars” in which professional storage buyers compete with one another for ownership rights to whatever is contained within an unpaid storage unit, competing at auction in search of storage units hiding “treasures” that the buyers can often get for a dime. Of course, the real world of finding the best storage option for your needs tends to be considerably less dramatic and often those seemingly-mythical units full of priceless antique are just that: mythical. But one thing shows like Storage Wars get right is demonstrating just how safe one’s personal goods are when placed in a professional storage unit. If you’re planning a move and need a Chicago storage solution that is perfect for your particular situation, just follow these three easy steps. This might seem obvious, but in many situations an individual or family will not realize until after they have moved all of their goods that they in fact need a Chicago storage unit, making the process much more difficult if planned for in advance. One way to decide what to put into storage is to take stock of your most valuable items, like any sculptures or other pieces of art you may own. 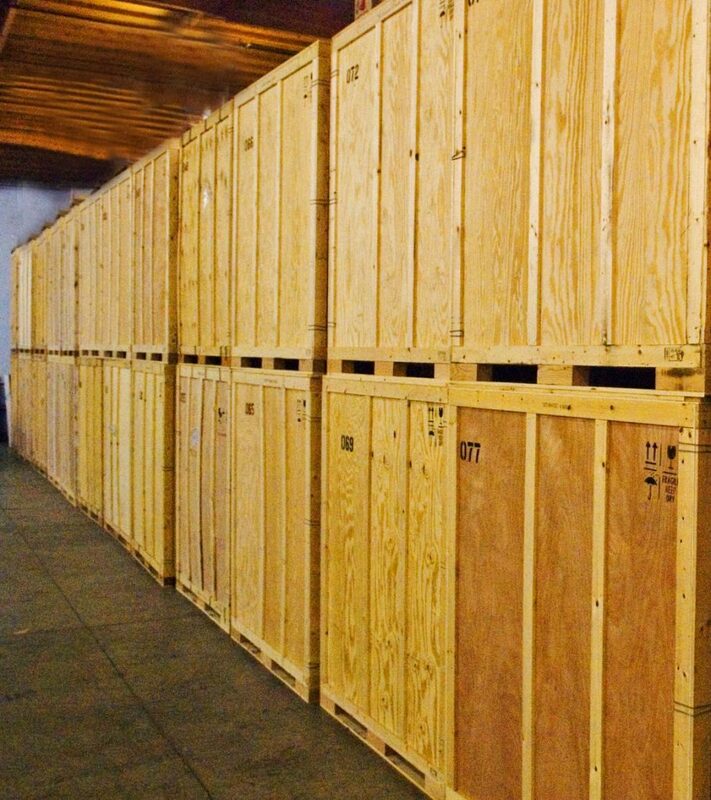 If you have some old paintings that have been sitting in your basement for years or do not have the size wall space needed for a particular piece of art in your new home, then it may be best placed in a Chicago storage unit that provides 24/7 security (something we offer with the storage options we provide). Additionally, if you are an electronics aficionado that owns a number of old synthesizers or an old-school video projector you no longer use, than consider those items perfect candidates for self-storage. In almost every home, there are items that are simply eating up precious space that you could otherwise be utilizing, so take a hard look at what you own and what you truly use. Doing so will help inform the next step. While storage units often cost a fraction of the price you will spend taking care of items you no longer use, one of the most common mistakes we see is people choosing the smallest storage unit possible to cut down on costs. However, these individuals tend to pay more in the long run as they soon find themselves with little room to move around, increasing their chances of accidentally breaking an item in their storage unit. Ideally, you want a storage unit in which you can fit everything you need to and still have room in which to move around plus some extra room for future items you may acquire that need storage. If you’re worried about the extra cost, our next and final step will help you to find a Chicago storage solution that is perfect for your needs. Think about it: You just spent weeks, months, and maybe years deciding on a new home in which to live as rushing into renting or buying a home is a recipe for disaster. The same type of thinking goes for storage units in that the first you find is likely not the best option out there. After all, there are so many things to take into consideration, such as finding a unit that provides temperature control to keep old paintings from fading or electronic goods from short-circuiting. You’ll also want to make sure there are video cameras recording every possible angle and have the option to use professional movers if needed. And having plenty of insurance options is also essential as your home owners insurance might dictate that you store your valuables in a certain type of self-storage unit. Of course, we like to think that we provide the perfect Chicago storage solution for every type of person, but ultimately, only you know what will work with your schedule, budget, and lifestyle. By taking stock of your valuables well in advance of the move, investing in a storage unit with plenty of room, and doing your homework, you will improve the chances of never having to see a storage war except on your TV.